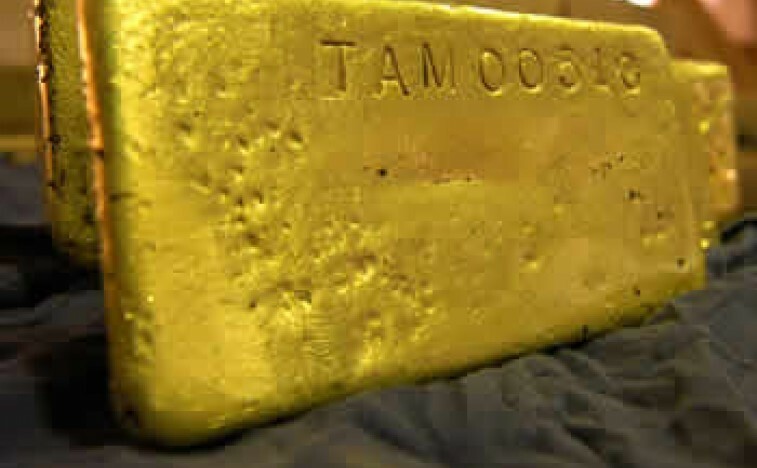 ounces at average grade of 6.67 g/t gold). Cash Costs: of US$568 per ounce (Dec 2017 qtr : US$ 523 per ounce). All-In-Sustaining-Costs (“AISC”): US$ 1,073 per ounce (Dec 2017 qtr: US$ 1,025 per ounce). Mill Performance: gold recovery averaged 94.8% (Dec 2017 qtr: 94.9%). Mine Development: Total advance was 6,242 metres of horizontal and vertical development (Dec 2017 qtr: 5,765 metres). -E15 Service Shaft: Reached depth of 489 metres, 7 metres below the 10 level and 17 metres from planned bottom of shaft. -Main Levels and Winzes: Development on Level 9 totalled 1024 metres, with an additional 163 metres developed on Level 10. Production Guidance (2017/18): The FY17-18 production guidance was revised upwards in December 2017 to 85,000 to 95,000 ounces, at All-In-Sustaining-Costs (“AISC”) of between US$1,000 to US$1,150 per ounce of gold produced. 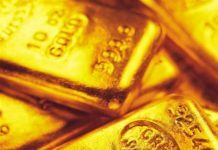 For the full year to 30 June 2018, the Company expects to deliver gold at the upper limits of the revised production guidance with AISC at the lower end of the revised costs guidance. -Reserve drilling Levels 6, & 7 from 13 drill holes totalled 1,569 metres. 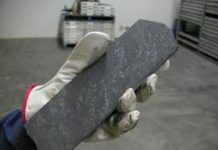 -Resource definition drilling at Level 8, from 7 drill holes totalled 6,306 metres. 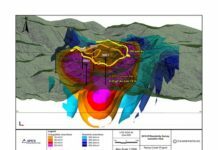 -Results from the resource drilling include 0.45 metres @ 1,085.8 g/t gold, 1.00 metres @ 333.9 g/t gold, 0.20 metres @187.5 g/t gold, and 0.85 metres @ 170.5 g/t gold. An updated Mineral Resource and Ore Reserve estimates to 31 December 2017, was completed and released to the market on 3 April 2018.